The Reserve Bank of India has refused to heed politicians demands for lower interest rates. As the Indian economy continues to slow and the prospects for a general election next year rising, the ruling United Progressive Alliance government is quietly urging the Indian central bank to lower interest rates. The Reserve Bank of India, led by its governor, Dr. Duvvuri Subbarao, has held firm arguing that the current interest rates are needed given India's stubbornly high inflation rate. As the deputy governor of the bank said in an interview this month, "inflation risks" are currently greater than risks to economic growth. Or, in laymans terms, rates cannot be cut so long as prices remain high. Subbarao, a long time civil servant at India’s Finance Ministry, is believed to have been chosen as the country’s central banker in 2008 because he was pegged as likely to kowtow to the politicians who appointed him. If so, he has proven the government wrong again and again not least by making it clear that the task of fighting inflation will not be subverted for short-term political gains. Just this month, the bank's annual report took direct aim at the optimistic economic outlook presented by the Prime Minister's Economic Advisory Council. It also called for the government to reduce generous subsidies and welfare programs that it claimed had helped drive up both money supply and demand, thereby fueling inflation. Subbarao also gently pressed for deeper economic reforms and fiscal consolidation. In other words, unless the government gets its own finances in order, there can be no room for the central bank to infuse more capital into the system. Ironically, the governor's strongest supporter may be Prime Minister Manmohan Singh. 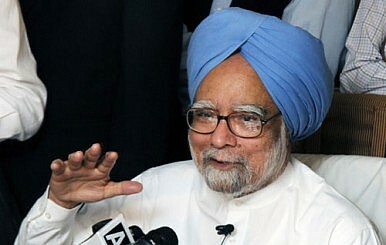 Some believe that Singh resisted Congress Party pressure to not extend Subbarao's term in office in 2011. That is possible, as Singh has been unenthusiastic about the lack of forward looking policy, the slump in investment, and pretty much everything else that the central bank has been fretting about. Unfortunately for Singh and Subbarao, both of whom are economists and civil servants, India's present political gridlock is unlikely to be broken by the combined weight of their viewpoints. Nothing but an election will do. Pramit Pal Chaudhuri is the Foreign Editor of the Hindustan Times and an Associate Fellow with the Asia Society, where this article first appeared. He was previously an editorial writer for the Telegraph and the Statesman of Calcutta.